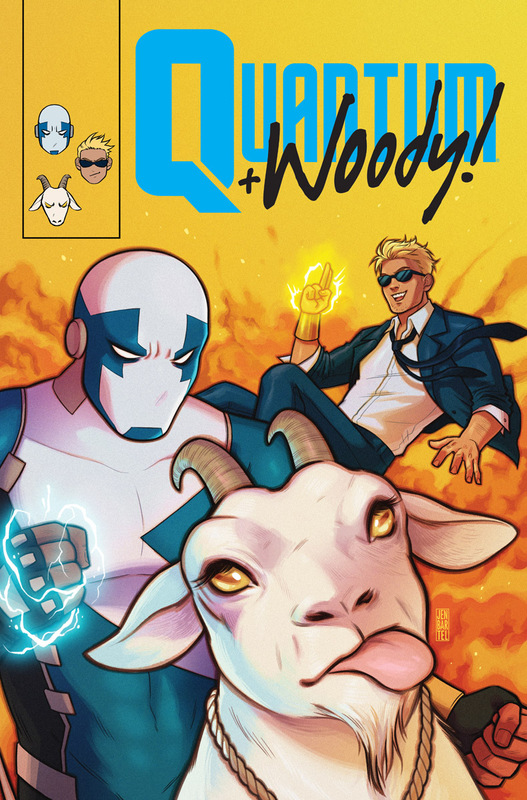 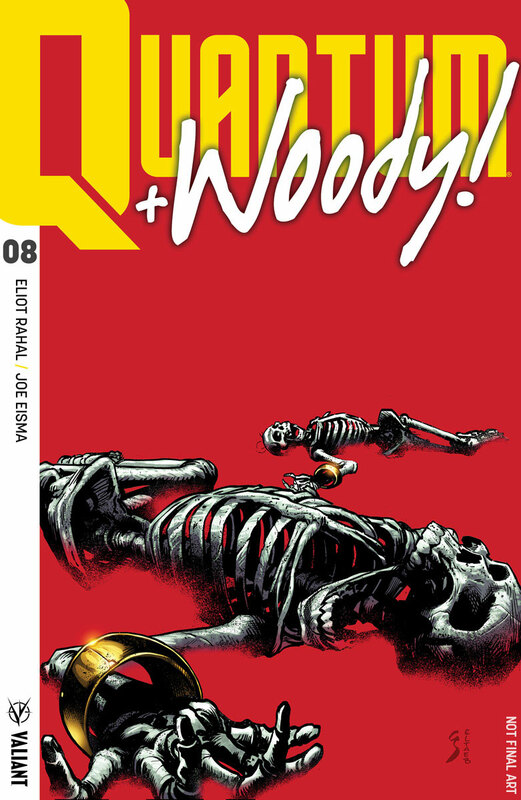 Valiant is proud to announce QUANTUM AND WOODY! 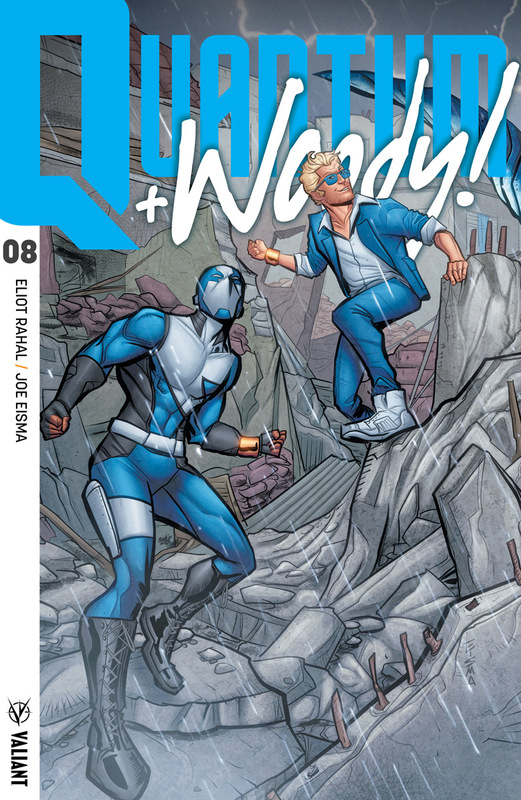 (2017) #8 – the FIRST ISSUE of “SEPARATION ANXIETY,” a RAUCOUS NEW STORY ARC and ALL-NEW JUMPING-ON POINT for the UNPREDICTABLE ONGOING SERIES from acclaimed writer Eliot Rahal (The Paybacks) and Eisner Award-nominated artist Joe Eisma (Morning Glories, Archie)! 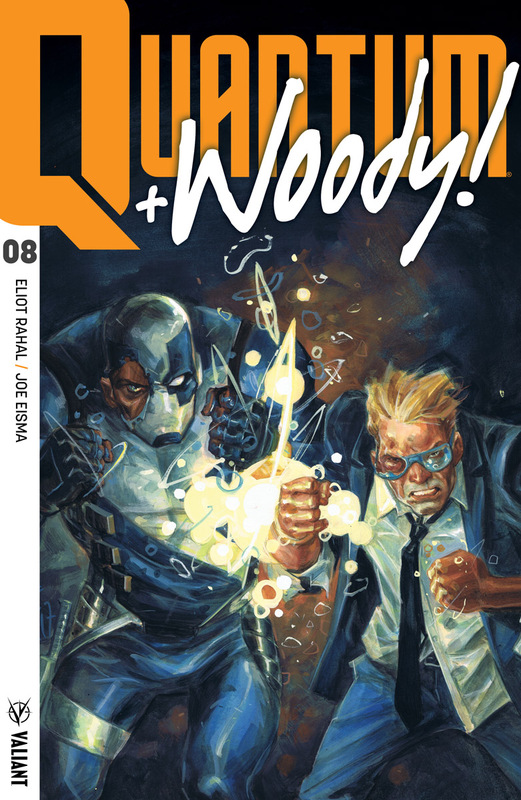 On July 18th, Quantum and Woody are about to divide their not-so-dynamic duo into a fractured pair of solo acts!